The FACTS Artist Alley fans are in for a treat! The co-creator of Teenage Mutant Ninja Turtles Kevin Eastman got inspired by Ghent’s Gravensteen and envisioned the Turtles in our beautiful Belgian city. 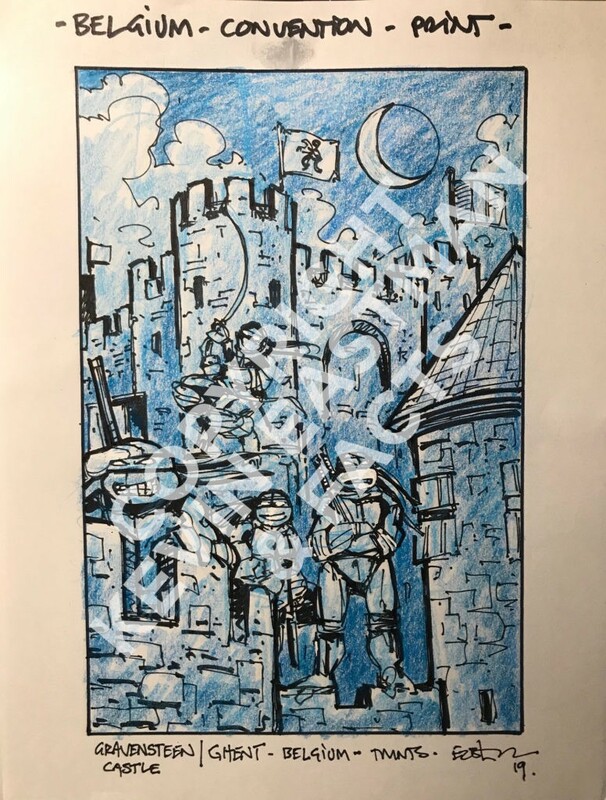 Needless to say, this is a highly unique Kevin Eastman drawing, made especially for the FACTS fans! This high-end product is an A3-sized serigraph on 250gr paper, numbered to the number of reservations with a maximum of 50. Note: the copyright text will of course not be on the final product. Check how to obtain this beauty here!